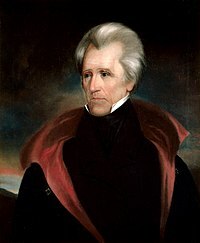 English: Andrew Jackson was 7th president of the United States. Italiano: Andrew Jackson ers il 7° Presidente degli Stati Uniti d'America. Svenska: Andrew Jackson var den sjunde presidenten i USA.